AUSTIN, Texas, April 2, 2019 – Comerica Bank announced today Paul Gerling has been named Austin Market President. In addition to this role, Gerling will continue serving as Senior Vice President and Group Manager of Central Texas Commercial Banking, which includes the Austin, San Antonio and Hill Country markets. Gerling succeeds Tim Klitch, who will retire on May 1, 2019, after nearly 20 years with Comerica. 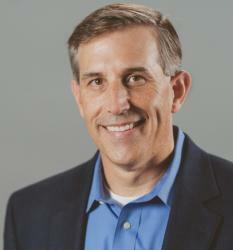 Klitch served in several roles throughout his tenure, including market president, while managing and cultivating Comerica’s Technology and Life Sciences (TLS) division in Texas and Bellevue, Wash.
As market president, Gerling will oversee business and community development efforts across Retail, Commercial Banking, Wealth Management and Commercial Real Estate, as well as TLS in Austin. During Gerling’s 17-year career at Comerica, he has led the TLS group in Central Texas before assuming his current Commercial Banking role. Prior to joining Comerica, he also held various roles in venture capital, management of technology startups, asset-based lending and traditional commercial banking. A native Austinite, Paul earned his undergraduate degree in Finance from the University of Texas at Austin and an MBA from St. Edward’s University. In 2018, Gerling was named St. Edward’s Distinguished Alumni for his ongoing commitment to the University and the community. In addition to serving as a member of The Bill Munday School of Business Advisory Board at St. Edward’s, he also is a Busby Foundation board member, the Southwest Region United Way Campaign Chairman for Comerica Bank, and has spent the last 18 years as an adult leader for the Boy Scouts of America. Comerica Incorporated (NYSE: CMA) is a financial services company headquartered in Dallas, Texas, and strategically aligned by three business segments: The Business Bank, The Retail Bank, and Wealth Management. Comerica focuses on relationships, and helping people and businesses be successful. In addition to Texas, Comerica Bank locations can be found in Arizona, California, Florida and Michigan, with select businesses operating in several other states, as well as in Canada and Mexico. Comerica reported total assets of $70.8 billion at Dec. 31, 2018.